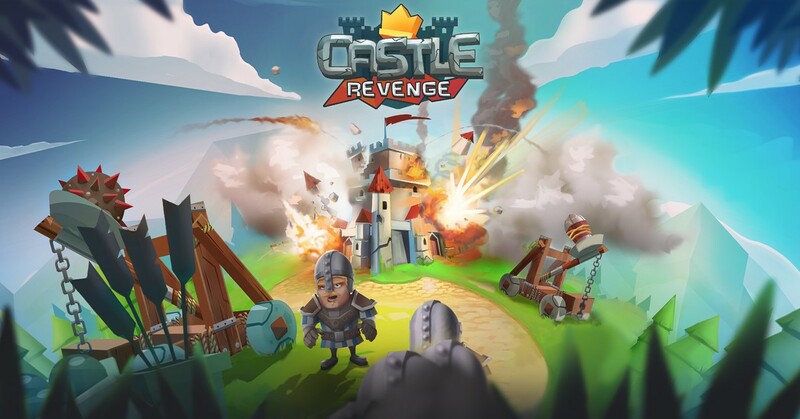 KATOWICE, POLAND--(Marketwired - June 08, 2017) - Innovative game developer Incuvo today announced the launch of Castle Revenge, a new action-strategy game Android devices (available now) and iOS (coming later this month). Players build the castle of their dreams, design elaborate defenses and weaponry, then challenge other players to epic battles in the attempt to destroy their castle. The game features realistic physics for maximum destructive effect. "We loved building brick castles as kids, but half the fun is knocking them down," says Wojciech Borczyk, co-founder of Incuvo. "Castle Revenge takes the PvE elements of games such as Clash of Clans and mixes in the strategic wreckage action similar to Angry Birds to recreate that fun on your mobile device." Featured in the Google Play Early Access program, Castle Revenge lets players design their own unique citadels from hundreds of available rooms and a wide variety of defenses, including ancient, magic and steampunk themes. Once the stronghold is ready, players may attack other players' castles. The large selection of ammunition features realistic physics for strength, resistance and speed, allowing for greater strategy and tactical depth. Destroy your enemy's throne room or more than half their castle, and victory is yours! Do not rest on your laurels, however, as they are sure to seek revenge. Incuvo was cofounded in 2012 by Wojciech Borczyk, who have previously created, successfully bootstrapped and sold gaming startup to CI Games, Poland's leading game developer and publisher. For CI Games they built a studio of 40 people and released 15+ console titles (Nintendo DS, Wii, PS3, X360 and PC). Incuvo's first mobile product was Createrria -- a game creation platform for casual game designers. Createrria was a hit, with over 3 million users and 100+ million user-created games plays. Castle Revenge launches for Android devices, iOS coming soon.